Manchester United have earned more than half a billion pounds for the second year in a row, with a record-breaking revenue of £581.2m. Mourinho’s led side finished outside the top four in the Premier League last season after finishing sixth and had to return to the Champions League by winning the Europa League last term. However, with no Champions League for the Red Devils last term, the money was still in full flow last season. Last year, Manchester United became the first British club to hit the half-billion mark and have improved on that position, with our revenue rising from £515.3m to £581.2m for the year ending June 30, 2017. 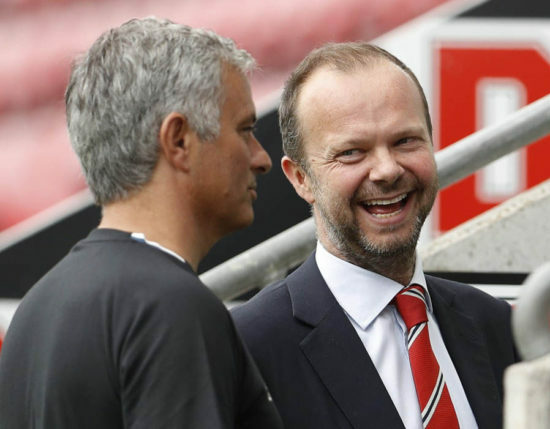 In January, the Red Devils returned to the summit of the Deloitte Football Money League for the first time since 2005, having achieved a record operating profit of £80.8m and record income of £199.8m before interest, tax, depreciation and amortisation. “We concluded a successful 2016/17 season with a total of three trophies and a return to Champions League football. “The year saw us set record revenues of over £581m and achieve a record earnings before interest, tax, depreciation and amortization of £199.8m. According to reports released on Thursday, United is expected to post a revenue in the region of £575m and £585m for the year ending June 30, 2018, but states that profits next year might be reduced due to an increased wage bill triggered by a return to the Champions League and by the club missing out on around £10m by qualifying for the tournament by winning the Europa League rather than finishing in the top four.